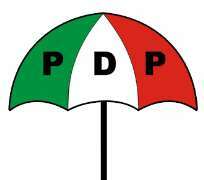 The chairman of the Rivers State chapter of the Peoples Democratic Party, PDP, Bro Felix Obuah has dismissed the allegation by the All Progressives Congress, APC, that the State Governor-elect, Chief Barr Nyesom Wike plans to defect to the APC as malicious, baseless and a mere wishful thinking of the propagators of such falsehood. Reacting to the allegation through a statement signed by his Special Adviser on Media, Jerry Needam, the PDP chairman said it’s most unthinkable that the governor-elect, and PDP leader in the State is considering dumping the party for the APC because doing so is like preferring hell which the APC represents to paradise. There is no gainsaying the fact, Prince Obuah stressed, that Rivers State is a PDP State as demonstrated in the just concluded general elections and cannot be betrayed by the leader and holder of its mandate who has given all he has to ensure the party is not killed by self-seeking individuals, the bulk of whom make up the membership of the APC in the State. Rather than do that, Prince Obuah added, the governor-elect, Chief Wike will do all within his power and humanly possible to deliver on his electioneering promises to the people to ensure they are not disappointed and to strengthen their support and belief in the PDP. The PDP Boss enjoined such rumour peddlers and, or daydreamers of Wike’s defection to join hands with the PDP-led government in reshaping, restoring and rebuilding the State that has been badly damaged by Gov Amaechi’s visionless administration under whom the State economy has hit the lowest ebb as never witnessed before in history. “May I also use this opportunity to make it abundantly clear to our APC brother members that there is an ocean of difference between the PDP leadership as presently constituted in Rivers State and ably led by His Excellency, Chief Barr Nyesom Wike, State Governor-elect and the APC. We are not as feeble minded and unsteady in character as APC members and will never do what they have done that has only attracted to them an outcast image before the court of public opinion, as doing so will be foolhardy of us. We will remain steadfast and focused to our vision of new better Rivers State where the welfare of its people will be adequately taken care of, and opportunities created for growth and development of our abundant human capital in fairness to all and anchored on justice. We are also most willing to receive back into the PDP fold those APC members who have genuinely repented and wish to come back to help move our State forward,” Prince Obuah declared.. The State PDP chairman, Bro Felix Obuah assured Rivers people that their mandate freely given to the PDP and the Governor-elect, Chief Barr Nyesom is sacrosanct.